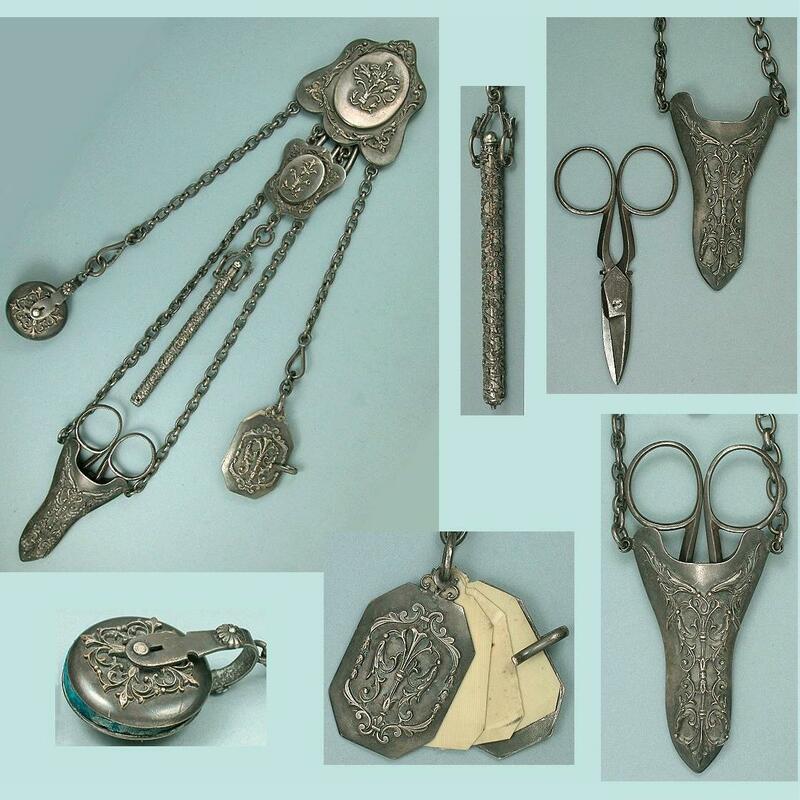 This unusual antique chatelaine is made of a gunmetal color oxidized metal and is complete with 5 chains and 4 attached tools. 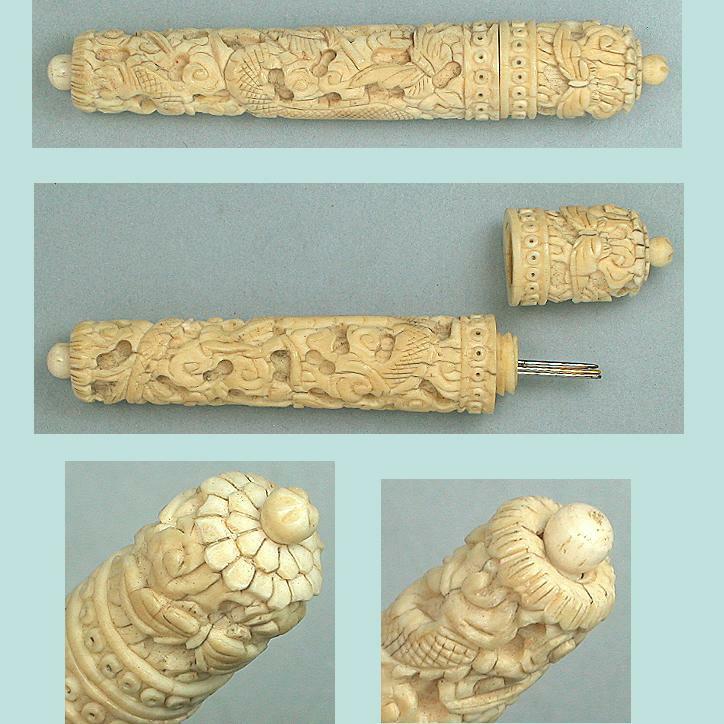 This piece is from the collection of Genevieve Cummins and is the actual chatelaine that was photographed on page 262 (plate 257) of the book she wrote with Nerylla Taunton, Chatelaines, Utility to Glorious Extravagance. She says it could have been used as a mourning chatelaine but this gunmetal finish was popular for all sorts of metal items in the 19th century. The waist plaques and tools have applied, raised floral scrollwork. In the center is an unusual pencil holder that has a metal rod holding the place of the pencil. The other tools include a disk style pin cushion, a scissors sheath with steel scissors and an aide memoir with ivory colored pages. The steel scissors (3 3/8" long) have intact points and cut paper well. The entire chatelaine is in excellent condition with no loss, dents or other damage. The chains are strong and intact and have spring clips to hold the tools. The hinged clip is sturdy and strong and the chatelaine measures 13 1/4" from top to bottom. The pieces are matching and all original. I've shown it next to its picture in the chatelaine book at the bottom. The book shows it with a golden color cast but my pictures are the accurate color. The postage shown includes Registered shipping for non US addresses and insured shipping within the US.